Timestamp: Diez (minas) y un Cuarto, en la Rue Saint-Loius en L’Île… en Central Siren Time. 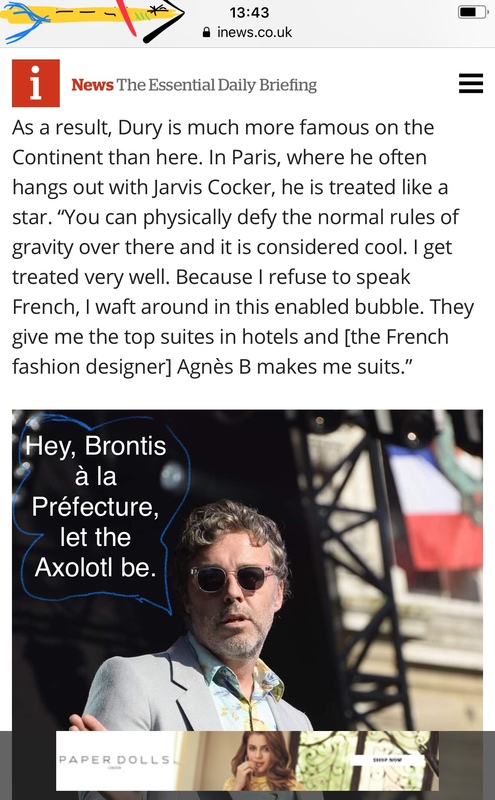 Ewe’all: did you know that The White House has been, —since way before— Henry’s fixes at La Fútbol Asociación? 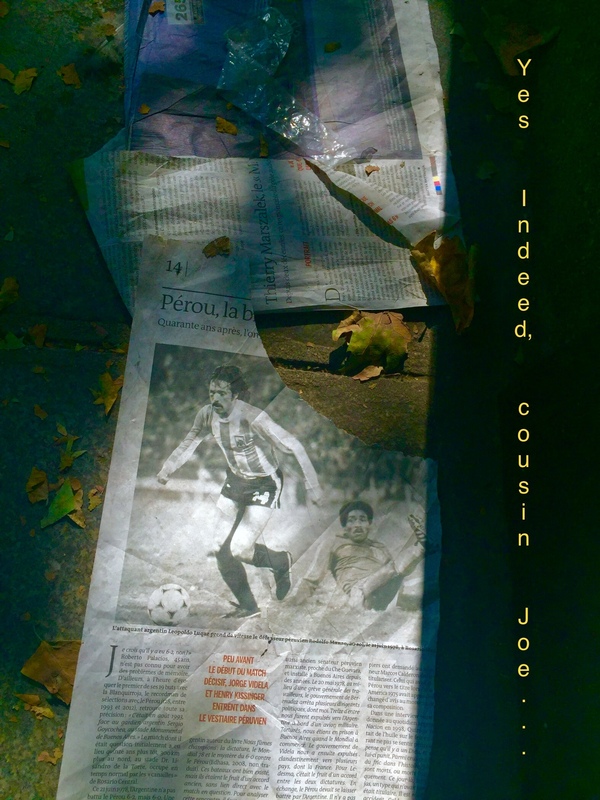 SINCE Way before —EWE’ALL— Kissinger fixed the Chilenean World Cup of September 11 of 1973— now drink that Water and hold Mika’s hand, Cousin Joe— G’ahead, Cousin Joe, hold her pretty Department of State hand. La Concha de tu Madre—reLoaded!!! … but first, the news. The following must be read in a George Cloony voice with a Laughing Cha Cha Cha playing on the background. Extinct relatives. The last time that these two were seen together, the climate conditions called for a cool overcoat. Right now the season is warm and it is inevitable to avoid seeing undies on the streets, don’t blame us for catching an occasional glimpse—heck, one needs not look ‘sous les jupes de fip’, Mika, if you know what “Eye wanna Hold Your Hand,” means. •-_!–• There’s a new kid in town, let’s hope that under this Summer’s Sun that ride doesn’t go the way of the GoBee Bike and the benevolent Sac–a–dos. Indeed, it was a rather naive “présentation sur « papier libre » du projet de creation du plan d’affaire” on account of the GoBee Bike project. 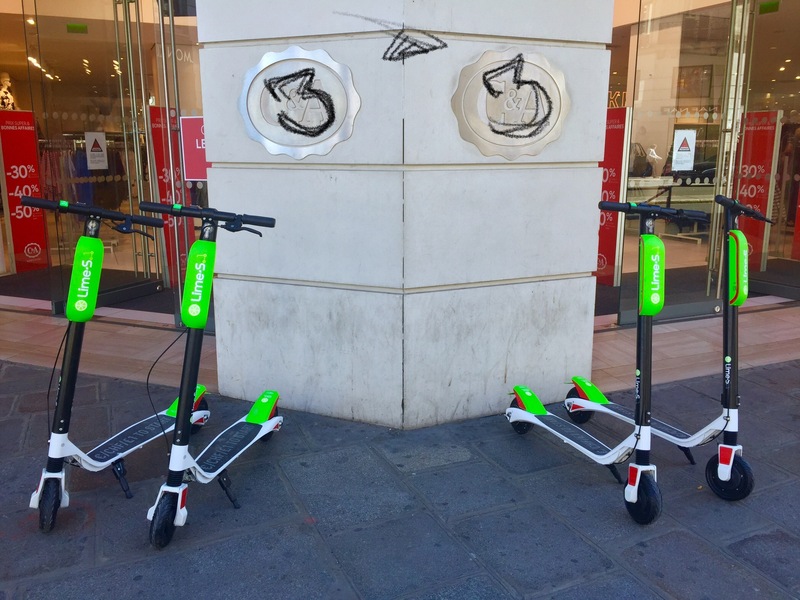 Maybe, just maybe the timing was wrong for project GoBee Bike to hit the scene at the dawn of the Great VELO War of 2017, when Velib’s changing of the guard was about to take place and three other private bicycle providers were dumpping their “güilas” all over the Île-de–France. I’ll be blunt, GoBee Bike first mistake was trusting les Francilliens with such thin spokes, I mean it did not take a week to see young-adults punishing the GoBee Bikes everywhere. 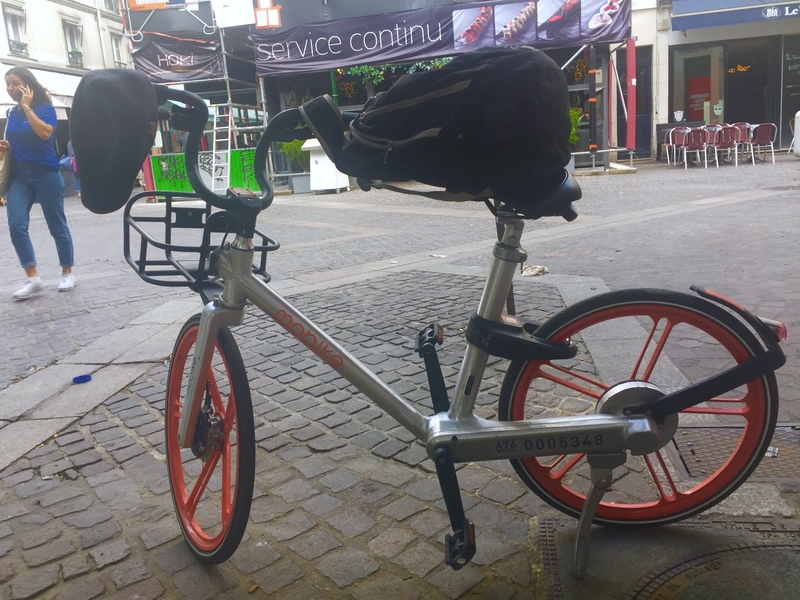 When the month of March 2018 arrived the streets of Paris were pretty much a junk yard littered with the fleet of GoBee’s that ended up as parts–and–pieces of a pretty neat service… but the other players in this business of transportation choices, they just couldn’t let GoBee Bike be. 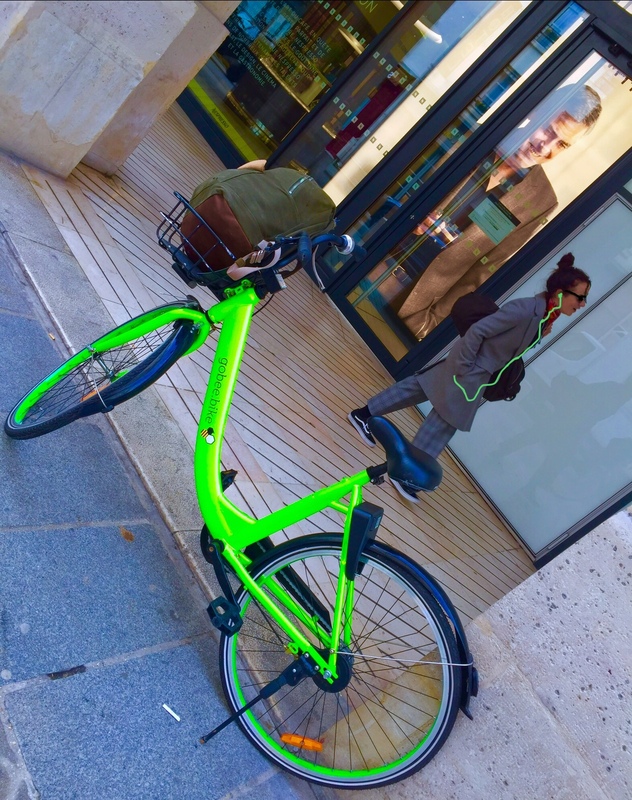 In my non–consequential opinion the foul was not “kids just being kids”, there is a lot of money to be made in the alternative public tranportation business, and GoBee Bike didn’t think that it’s delicate rims would be sabotaged by the competition. There’s a new kid in town, y se llama Patín del Diablo, from the creators of Green Hell and The Last Caress. Dear, 6éme Bureau á Cité; please be adviced that my client has already furnished your office on two occassions with the current demand from your email on line five of six, on the Complément de Dossier request, date stamped on May the 24 of 2018. Agnes, won’t Ewe make the Axolotl’s suits and hook’em up with a few “paper dolls”… of course Ewe would. Thank’s. p.s. : please do not force our firm to stash our client at the Equatorian Embassy should your office deny him of his “titre de sejour” renewal.